This weekend will be the last trading days of the Naturally Conwy Produce Market. This was a great collaborative effort, with the shop managed by Naturally Conwy and a collective of local food producers, with Colwyn Bay THI and Communities First facilitating and supporting the venture. The shop was created at 24 Station Road, the Pop Up Shop unit operated by Colwyn Bay THI, and was adapted to reflect the environments the food came from, with hessian fabric coating the walls and food displayed on hay bales! During it’s tenancy in Colwyn Bay, the shop also attracted press coverage from TV, newspapers and radio. The shop opened on the 9th of September, with 14 food producers working together to man the shop and sell their food, all of which is made in the county of Conwy, and for the four months opened their doors to the public every Friday and Saturday. 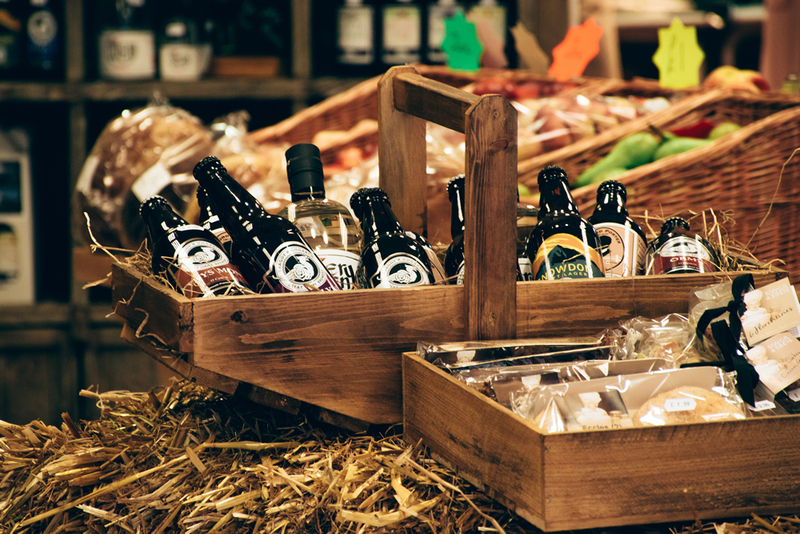 Over the next four months, shoppers both local and from further afield visited the shop, and the producers held evening events to showcase their wares to local businesses and raise the profile of the quality local food on offer. Father Christmas also visited the shop in the run up to Christmas, holding court in a grotto at the back of the shop. There is still time to pick up last minute Christmas food. The shop will be open Friday 23rd and Saturday 24th of December. Visit https://www.facebook.com/naturallyconwy/ for up to date information.